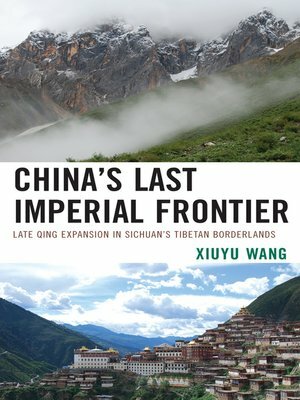 China's Last Imperial Frontier explores imperial China's frontier expansion in the Tibetan borderlands during the last decades of the Qing. The empire mounted a series of military attacks against indigenous chieftaincies and Buddhist monasteries in the east Tibetan region seeking to replace native authorities with state bureaucrats by redrawing the politically diverse frontier into a system of Chinese-style counties. Historically, at all the strategic frontier locations, the state had been for the most part outstripped by local institutions in political, military, and ideological strengths. With perceived threats from the Anglo-Russian "Great Game" accentuating Qing vulnerability in Tibet, the Sichuan government took advantage of the frontier crisis by encroaching upon local and Lhasa domains in Kham. Even though the Kham campaign was portrayed in Qing official discourse as a part of the nationwide reforms of "New Policies" (xinzheng) and administrative regularization (gaitu guiliu), its progress on the ground was influenced by the dynamics of interregional relations, including Sichuan's competition with central Tibet, power struggles among Qing frontier officials, and varied Khampa responses to the new regime. The growing regionalism intensified the resistance of local forces to imperial authority. Despite the uneven results of the late Qing campaign, it had come to serve as an important source of sovereignty claims and policy inspirations for the subsequent governments. Xiuyu Wang is professor of history at Washington State University Vancouver.